You’ve probably heard a lot about bottled water. That it’s healthier for you than tap water, that it can replace your vitamins, that it’s really only tap water and how environmentally unfriendly it is. With this type of conflicting information about water, it’s easy to get confused. Let’s see if we can help you cut through the clutter and lead you down the path to healthier water consumption. There’s no sense in sugar-coating it. Bottled water is destructive to the environment. It is a fact that 67 million water bottles are thrown away each day. That’s a staggering amount of waste considering only 10 percent of these water bottles are ever recycled. Despite the good reputation recycling has, this practice is not always best for the ecosystem as it is labor-intensive, costly and burns natural resources. Also, just because you are throwing your used water bottles into the recycling bin, it does not necessarily mean they are able to be recycled. 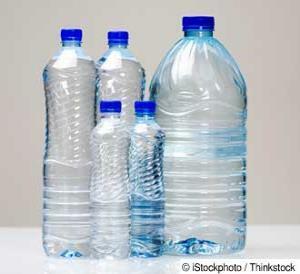 Another problem with bottled water is the incredible amount of fuel needed to transport these heavy loads of plastic (and sometimes glass) bottles to your local supermarket, home or office.